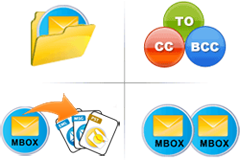 Zimbra File Viewer allows a user to open, scan & View all the data items within the ZDB file. After the successful scanning of the file, a user is allowed to view data items like emails, contacts, calendars, tasks, journals, etc. It allows a user to view all the items in separate tabs. 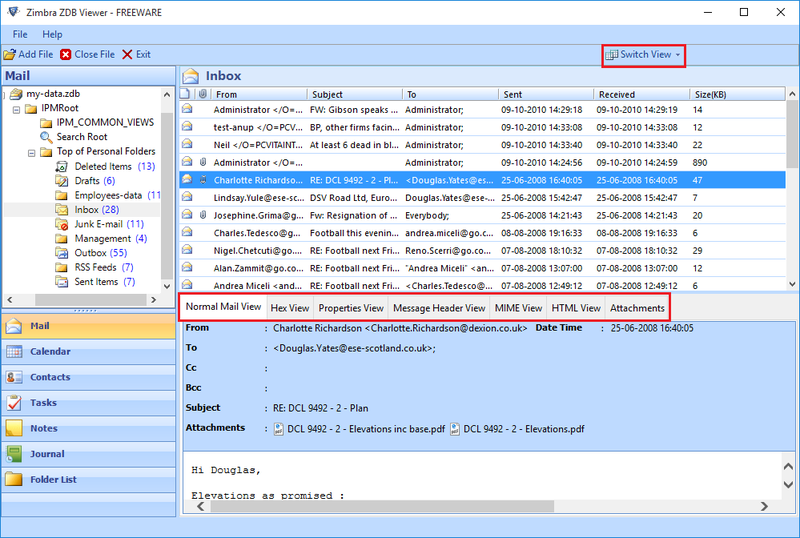 With the help of Zimbra ZDB Viewer Tool, one can view all the emails along with attachments from a ZDB file in various View modes. For deep analyzing of the emails, one can read the data by the available view modes. There are modes like Normal Mail, Attachments, HTML, MIME, Message Header, etc. 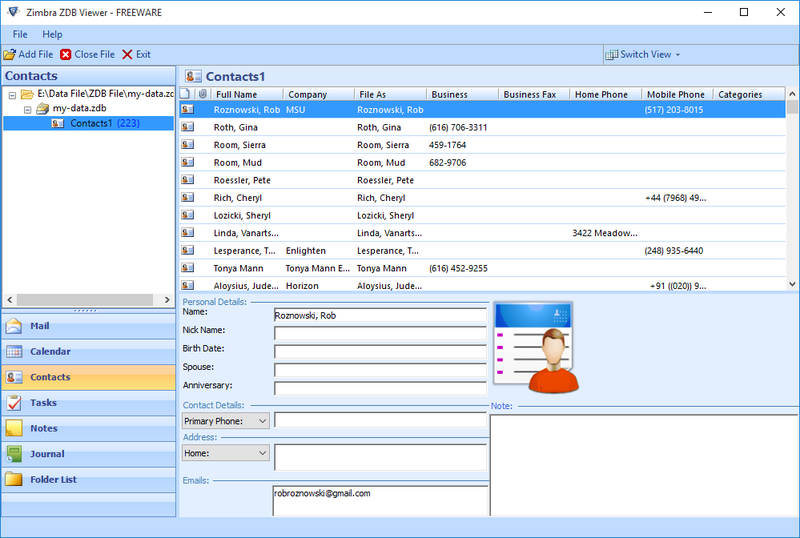 A user can view all the calendars and contacts information that is within the ZDB file with the help of ZDB Reader Software. This feature works best in case, when you are facing any technical issues while working on Zimbra email client. It will allow you to access your contacts and calendars. There are two view modes i.e. Horizontal and Vertical. It can be set according to the preference and convenience of the user. This tool is compatible with all the versions of Windows operating system. 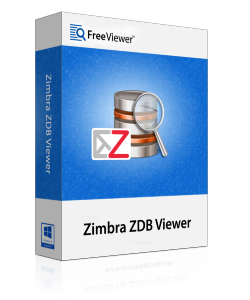 ZDB Viewer is an independent tool and it works without Zimbra email application also. Supports Windows XP, 7, 8, 8.1 and 10 versions. 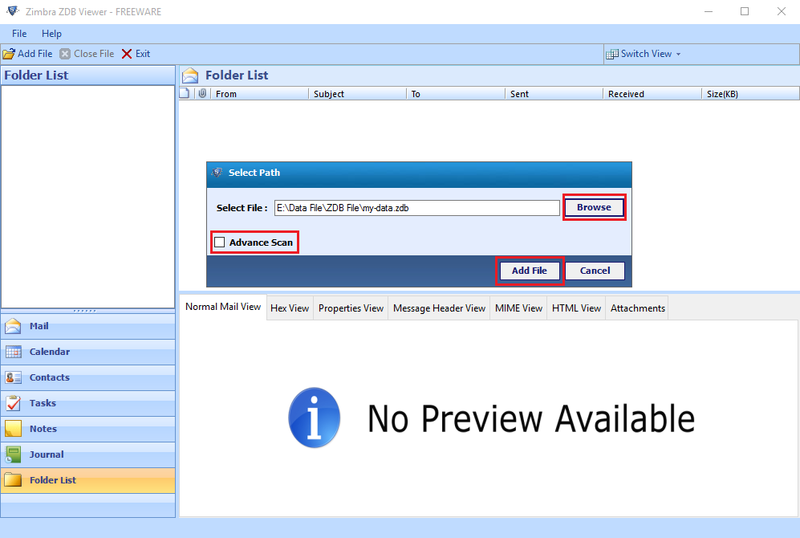 The ZDB viewer tool provides a user to view ZDB Heading viewing capability so that a user can easily view the path of the email i.e. used from its origin of the server to the destination server. 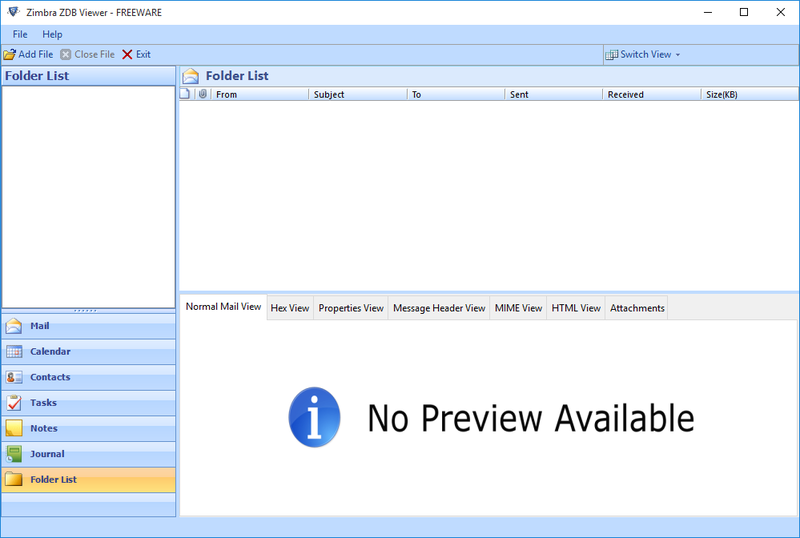 The header can be easily viewed using the tabs provided in the Zimbra Viewer Tool. ZDB File Viewer shows the Preview of ZDB File. Explain the working of ZDB Viewer Tool? Step 1: Install & run Zimbra ZDB File Viewer Software. Step 2: Click on Add File and browse ZDB file. Click on Open button to add the file. Step 3: The software scans the file and loads it automatically. Step 4: Now, view all the folders within the ZDB file on the left side. Click on the desired folder to view all the emails in that folder. Step 5: Use separate tabs to view all the data items as well as different view modes for deep analyzing of the emails. Is the software compatible with Linux or Windows OS? The software is purely designed for Microsoft Windows only. So, if you have a .zdb file on your Windows OS system, then this software will work. Is there any file size limitation on the ZDB file? There are No as such limitations on the size of the ZDB file. You can open and read Zimbra ZDB files of any size. The software is fully functional and free to use. Can I open multiple .zdb files at a time? Yes, the software gives you the ability to view multiple files simultaneously. Can I recover my corrupt .zdb files? Yes, the software allows a user to view normal as well as corrupted, encrypted or password protected files. For the purpose, other then this, we have the Pro Version of the software to meet one's conversion needs. "The ZDB File Viewer software came very handy and it helped me to view all the emails. I was able to view all emails and also get contact and calendar information. Thank you, for such a simplified solution!" "Having such a tool is an asset for the administrator and when such tools are available for free then it is just a cherry on the cake. The support staff was very helpful at the time of giving me guidance related to the working of ZDB Viewer tool. Thanks." "With the help of Zimbra ZDB File Viewer Tool, I was able to open 10 GB of ZDB file in a very smooth way. The tool was above my expectation as I got a chance to analyze the emails deeply. It is easy to open and read the file without Zimbra email application." "I must say that the tool is really amazing and worth of using it. It is easy to open healthy as well as corrupted ZDB file. There is an option of Advance Scan for scanning the damaged file. It is really easy for me to use Zimbra ZDB Viewer tool and access all my corrupted emails."